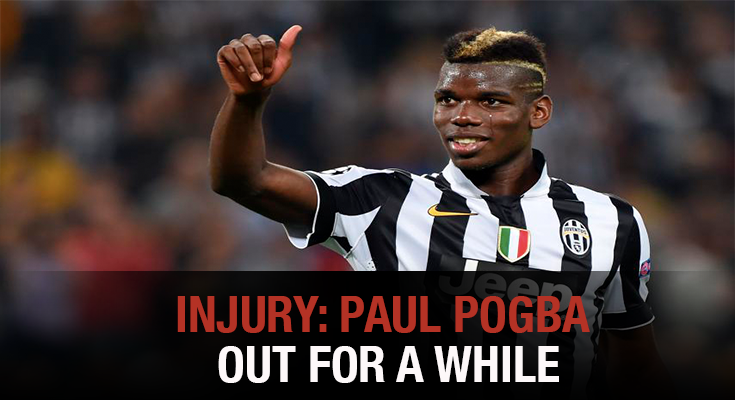 On Tuesday, Paul Pogba suffered from an injury on his hamstring. The news were announced by Manchester United’s head coach Jose Mourinho. He said that Pogba will be out of action for a couple of weeks until he fully recovers. Manchester won that game against the FC Basel with a score of 3-0. The game was part of the UEFa Champions League. Adam Bostock talked to the United’s official page and said that he thinks is a muscular injury. He also explained that those injuries usually keep the person out for a 2 weeks at least. There haven’t been a complete diagnose from the medical department of the club. Mourinho also talked to the press and explained that they have a lot of players that can replace Pogba for a while. Players as Michael Carrick, Nemanja Matic, Marouane Fellaini and Ander Herrera can replace the player. On that game, the team decided that Pogba was going to be the captain, but he had to give away the captain’s armband when he was forced to leave the field. He was replaced immediately by Fellaini. The club wished the player a soon recovery via their Twitter account. After Pogba left the field, Marouane Fellaini made the first goal for the Devils. He just played 15 minutes before opening the score for the team. Fellaini was a fundamental piece for the win, as he had a very strong performance who lead the team to victory. Many correspondents congratulated Fellaini for his performance and wished Pogba a soon recovery. In September, Manchester will have to play 5 more games. They will play against the Everton on Sunday, then against the Burton Albion, followed by CSKA Moscow and Southampton. They finished the month playing against Crystal Palace. The game will have to solve their problems and win all the matches without Pogba. They will have an empty place in the midfield that needs to be fulfilled. The teams is expected to fill the gap with Henrikh Mkhitaryan or Ander Herrera.